South Lane County Fire and Rescue will be holding a Regular Board Meeting Tuesday November 22, 2016 at 7:00pm at the Creswell Community Center Located at 99 S. 1st Street Creswell, OR 97426. An Executive Session Pursuant to ORS 192.660(2)(b) Discipline of Public Officers and Employees will follow directly after the Regular Board Meeting. The Regular Board Meeting may come back into public session after the Executive Session. South Lane County Fire and Rescue will be holding a Regular Board Meeting Thursday October 20, 2016 at 7:00pm at Station 201 Located at 233 E. Harrison Ave Cottage Grove OR 97424. In accordance with ORS 478.960, I hereby proclaim the regulated use restrictions placed in effect for the 2016 Fire Season terminated immediately. Open burning remains closed until October 15, 2016 or such time as declared open by LRAPA. The lifting of regulated use restrictions applies within the City of Cottage Grove, City of Creswell, and any lands within the SLCFR District boundaries, not protected by the Western or Eastern Lane Districts of ODF.  The use of power saws is prohibited during extreme fire danger. Power saw use is permitted before 10:00 a.m. and after 8:00 p.m. during low, moderate, and high fire danger. Each power saw is required to have one shovel and one fire extinguisher of at least 8 ounce capacity.  Cutting, grinding and welding of metal is prohibited during extreme fire danger. This activity is permitted before 10:00 a.m. and after 8:00 p.m. during low, moderate, and high fire danger, as long as it is conducted in a cleared area, and has a charged garden hose or 2 ½ pound or larger fire extinguisher immediately available.  The mowing of dried, cured grass is prohibited during extreme fire danger. 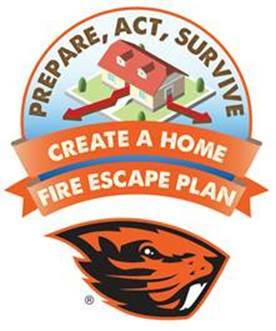 This activity is permitted before 10:00 a.m. and after 8:00 p.m. during low, moderate and high fire danger. The culture and harvest of agricultural crops is exempt from this requirement.  Use of illegal fireworks is prohibited at all times, and in any location within the District. Legal firework use is permitted in areas free of dried, cured grasses, brush, or trees. Generally firework use is only permitted on asphalt, concrete, or gravel and a charged garden hose or one 2 ½ pound or larger fire extinguisher is immediately available.